—6 square blocks with pronounced wood grain printed from the backs of image blocks in the approximate ratio of 1:1.618. 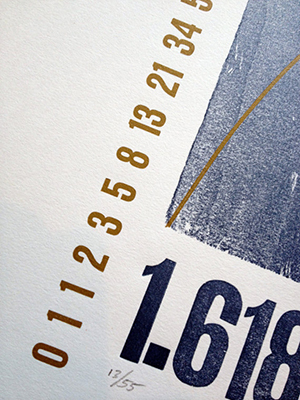 —The number Phi (1.618033988749895...) printed in Gothic wood type. 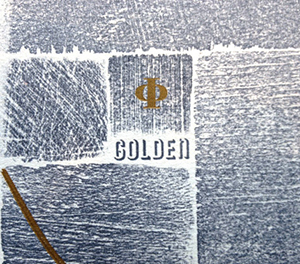 —The Greek letter Phi Φ and the word "Golden" printed from metal type. 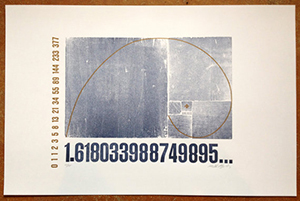 —2 parallel 2pt printer's rule bent to approximate the golden ratio spiral.